The Award Winning Barra MacNeils from Sydney Mines, Cape Breton, NS, recently released in June 2018their new CD entitled, On The Bright Side with 10 tracks. Iconic Cape Breton Band family, The Bara MacNeils have graced the ears of the East Coast once again with their newest album, On The Bright Side. The ten track recording is packed with everythingan Islander loves,: an abundance of the fiddle, a jig here and there, and even Cape Breton stapleslike a full Gaelic track are present in their latest Album. The Barra MacNeils are no strangers to success as they have produced no less than 17 albums over their 30 years performing and touring around the world. They have been thrilling audiences of all ages, both near and far, with their sparkling repertoire, vocals, instrumental prowess and vibrant showmanship. What a great up-lifting album and certainly is a great addition to all ages music libraries says AtlanticSeabreeze. We give a full 5 stars out of 5 stars for this album. 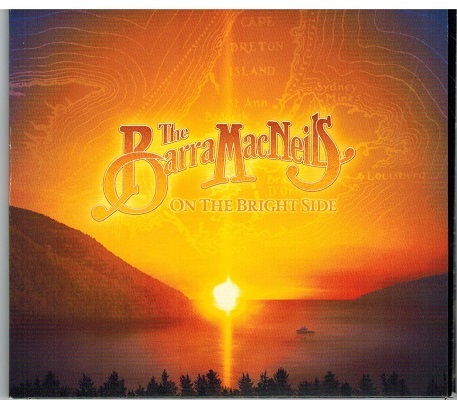 For more information regarding The Barra MacNeils and their music, refer to their website, address posted above.